There are half-a-dozen online marketing and advertising surveys I read each year. I especially look forward to Mary Meeker’s Internet Trends, MOZ’s Online Marketing Industry Survey, and BrightLocal’s Local Consumer Review Survey. 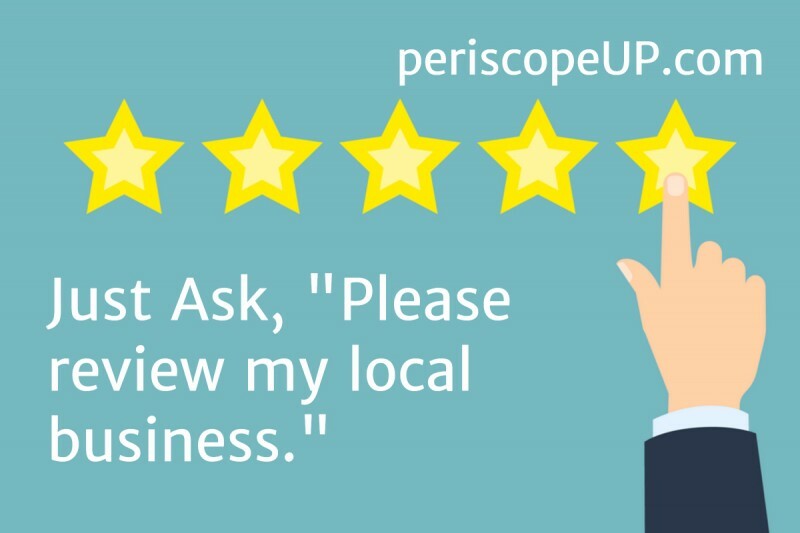 7 out of 10 consumers will leave a review for a business if they’re asked to. 58% of consumers say the star rating of a business is most important. It doesn’t matter if it’s an Amazon product, a restaurant on Yelp or a service provider found on Google – star ratings are a powerful signal for your prospects. More than half of users will make a purchase, restaurant reservation or appointment with a service provider based on star ratings alone. Sounds easy, right? Still, you must train your customer-facing employees to ask for a review. And if your customer is busy, just ask for a star rating — it only takes a few clicks to boost to your local business visibility and reputation. Maximize your Google search result visibility. Call (443) 475-0787 or Contact Us today.